Mira Costa Athletic Complex Update! And it Begins! Wondering what is happening on the east side of Mira Costa’s campus? Over the next 18 months, we’ll work to keep you updated on the progress of the Mira Costa Athletic Complex. Last Saturday, Mira Costa Boys Basketball played their final game in Fisher Gym. There are so many amazing memories, the moment was bittersweet. 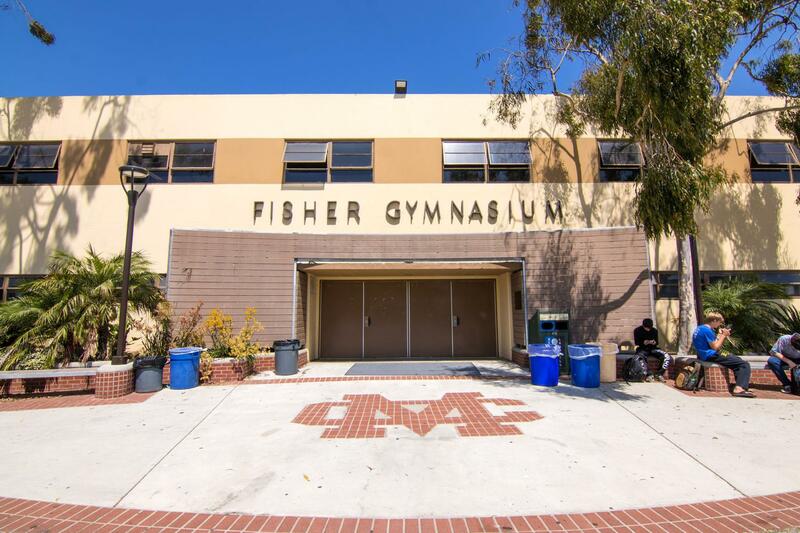 Fans, athletes, parents, staff and alumni visited Fisher Gym one last time. Alumni in attendance were recognized and visitors took the time to read the memorials to athletic trainer, Tim Cooper, written on the walls. It was a special good-bye to a facility that holds many fond memories. This week, the blue screen fence went up. Coaches and staff are taking one last opportunity to remove anything that needs to be stored. The athletic department is putting final touches on alternative locations for practices and games. And, experts are beginning the process of assessing the facility for abatement. The abatement is planned for winter break, with all Mira Costa athletic facilities closed, 12/22 – 1/6. Thank you to the entire Costa community for your continued flexibility and accommodation as we begin the process of building our new state-of-the-art facility. Thank you for the memories Fisher Gym. You were an important part of Mira Costa history.